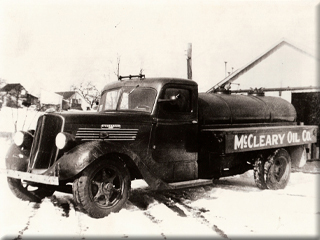 Our History - McCleary Oil Company Inc.
Over 86 years ago Garnet and Bruce McCleary started in the home heating business. 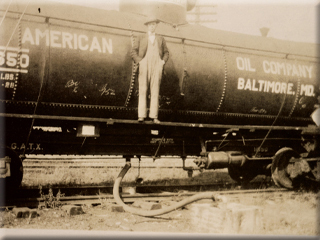 In those days keeping customers warm meant carrying buckets of oil from the truck to the tank 5 gallons at a time. As times have changed so did our customers needs. Therefore McCleary Oil Co. positioned itself as a dependable source of home heating products with a local storage facility for HEATING OIL and PROPANE. In addition, the biggest asset we can provide our customers is a staff of experienced individuals who refer to customers by names, not account numbers. Combining an unparalleled history in the heating oil industry with propane sales and service, McCleary oil Co. continues to support our mission statement: Provide our customers a trouble free, economical heating source, in a courteous, professional and convenient manner. We take great pride in the long term relationships we have with our customers, many dating 30+ years. We are located in the same place where Bruce and Garnet started the business. With the third generation involved, we continue the same personal service that only a small family-operated business can provide. And that means courteous, dependable deliveries to you the customer. McCleary Oil Co. is sincerely interested in your business. Our customers benefit with automatic deliveries, payment plans, and 24-hour emergency delivery. Call our offices today and let us take the worry out of your heating needs.